NAFSIKA PALACE HOTEL is ideally located in the heart of the shopping district of Itea, a quiet picturesque costal town, within walking distance from the sea. Itea is a small family town at the roots of mount Parnassos and only 15 minutes away from Delphi and yet another 20′ from the most beautiful costal little town of Galaxidi. What’s rather unique about Itea is location itself, since it is a divine combination of sea and mountain. The hotel has been fully renovated in 2007, with ulterior purpose to initiate a new vision in accommodation and relaxation, now boasts the most luxurious rooms and suites in the town of Itea with a magnificent view of the blue blue sea. Built on the slopes of Mount Parnassos, the town and ancient site of Delphi are as awe-inspiring now as it most likely was three thousand years ago, overlooking the Gulf of Corinth and a valley filled with olive and cyprus trees. T Delphi in ancient times was considered the center of the known world, the place where heaven and earth met. In Mythology, Delphi was the meeting place of two eagles, released by Zeus and sent in opposite directions. The place they finally met is known for centuries as the center of the earth, the oracle of Delphi .For thousands years something ‘magical’ has been going on in Delhi, and the fact that the town still attracts millions of visitors per year makes you believe, some of that magic is still there. The sanctuary of Apollo is located in the center of ancient Delphic close by lies the ancient theater, built in the 4th century, and further above are the ruins of the large stadium which was famous for its chariot races, renovated by Herod Atticus and considered the best preserved in all of Greece. The Sacred Way leads to the temple, passing the treasuries and monuments that commemorate great events The treasury of the Athenians has been reconstructed, nevertheless, the Treasury of the Sifniots is a sight for sore eyes. The frieze of the treasury is now in the archaeological museum along with many artifacts from the site including the omphalos, the sculptured cone that stood in the exact center of the world and the famous bronze statue of the Charioteer, one of the most celebrated pieces of ancient art in the world. Below these ruins are the Temple of Pronaia Athena, The Tholos is probably the most widely recognized building on the site because of the color of the marble and the fact that it is a round temple. Beyond is the Gymnasium and the Palaistra, used to train the athletes who competed in the Pythian games, held every four years to commemorate Apollo’s victory over Python. The Castelian spring is where pilgrims washed themselves before consulting the oracle and the crystal clear water still flows from it has it has for thousands of years. Delphi is an archaeological site and a modern town on the south west of the Mount Parnassos. The site of Delphi was believed to be determined by Zeus when he sought to find the center of Gaia. He sent two eagles flying from the eastern and western extremities and the path of the eagles crossed over Delphi where the omphalos or navel of Gaia was found.Delphi was the site of the Delphic oracle, the most important oracle and a major site for the worship of the god Apollo. He slew Python, the dragon that lived and protected the navel of the Earth.Apollo’s sacred precinct was a panhellenic sanctuary where from 586 B.C. and there after every four years, athletes from all over the Greek world competed in the Pythian games, pre cursors of the modern Olympics. These games instead of the Olympian ones, were not of such vast importance to the city, as had other attractions that labeled Delphi as the center of the world. The name Delphi maybe comes from the same route as delphys, womb, and may indicate archaic veneration of Gaia at the site. The Oracle exerted considerable influence throughout the Greek world, the semi-hellenic countries, Macedonian kings, even Egyptians, and she was consulted before all major undertakings. The oracle continued until it was closed by emperor Theodosios I in 395 A.D. The site was abandoned for almost 100 years until Christians started to settle permanently in the area establishing a small town in about 600 A.D. The residents had used the marble columns and structures as support beams and roofs for their houses: a usual way of rebuilding towns that were totally destroyed. In 1893 archaeologists from the Ecole Francaise d’ Athenes finally located the actual site of ancient Delphi, and the village moved to its new location. The Delphi archaeological museum is at the foot of the main archaeological complex. Slightly further is the Gymnasium, the Tholos, the Stadium, the Theater e.t.c. The town of Delphi does not rely on its archaeological site, but organizes a diverse array of musical and theatrical shows every summer, attracting constantly growing numbers of tourists, supported with the relevant tourist services. Nothing can describe the feelings of serenity and awe inspiring majesty, emanated by the landscape, the size of the unique site, the self knowledge and moderation of Ancient Greeks. Where Parnassos Mountain meets the sea at the Bay of Corinth lies the town of Itea. Although the surrounding region has been known since antiguity, the town is considered new. Its birth certificate was issued in 1830, when the Governor of the newly-formed Greek state, Ioannis Kapodistrias, issues a decree ordering the establishment of a settlement at this location. It is said that the only willow tree (Itia) which used to stand at the site for many centuries gave its name to the newly-founded town. What catches one’s attention in Itea is the town plan, wide road networks, ample pavements, lush green squares, few but beautiful manors of the 19th century scattered around the town. The main road is leading directly to the beach or the harbor, as Itea is a commercial and tourist port, and finally to the marina which has capacity to dock 250 marine vessels. To the east of Itea, the excavation have confirmed the existence of ancient Kirra, the ancient Port of Delphi. It is said that it was destroyed by a major earthquake in 749 A.D. The endless strip of coastline connecting Itea to Kirra is lined with tavernas, mezedopoleia and cafes. One way or another, the tourist facilities of the town are of such a high standard, that they will satisfy all categories of visitors with numerous hotels and services. Continuing to the west along Itea bay, we come across the picturesque town of Galaxidi. Although the first recorder reference is dated to the period between 6th to 9th centuries A.D., Galaxidi begins to flourish, in the sector of marine trade, becoming one of the most frequented Greek harbors by the 18th century. After the Revolution of 1821, it embarks on a golden age with the town’s shipyards working at a feverish pace. However, the advent of the 20th century, as the ocean-going sailing vessels were replaced by steamed ones, finds the Galaxidi ship owners unready to follow and its inhabitants seeking their fortunes by emigrating to new homelands. Galaxidi has been designated a listed traditional settlement with its history, its narrow paved aleys, characteristic manors, and imposing villas with their elegant crests and pretty pebbled courtyards. Along the main port there are a lot of tavernas, of good quality which serve the town’s local specialties. Most of the establishments offering accommodation, are housed in old, converted manors which have been tastefully renovated. The Church of St. Nikolas. The real jewel of the church is its reknowned iconostasis, a veritable masterpiece of wood-carving art of the 19th century, which depicts scenes and acts from the Old and New Testament and belongs to the Baroque school of Art. The Church of Saint Paraskevi. A very old church with old icons and wood-carved iconostasis dating to 1847. The most interesting thing is found on the church floor. In 1911 a sea-captain and astronomy adept carved on its stone the zodiac cycle with the twelve months of the year and the symbols for each zodiac sign, creating a sun calendar, exhibiting a high level accuracy and craftsmanship. Every day at 12:00 noon time a shaft of light enters the church through a roundshaped opening in the roof and falls on the respective calendar marking on the sun calendar. Also, there is a sundial at the external section of the main entrance. Galaxidi Naval & Historical Museum. Interesting collections of local costumes, tools, furniture and decorative items housed in an old manor. The history of the Monastery dates to 946 A.D. when the incumbent Monk at the time, later known as Ossios Loukas, chose the specific site to erect his monastic cell. His activity and miracles made the monastery an important pilgrimage site to which throngs of believers flocked to be cured. A structure displaying high art and aesthetics, from the time it was built, in the 10th century, a point of reference. As this harismatic figure was respectable to numerous local officials and governors, it was them, who donated large sums of money and valuable treasures to the Monastery and who contributed towards the construction of its temples and ancillary buildings. The smaller Church of the Holy Virgin Mary, dating to the 2nd half of the 10th century. The Chamber of the old Chancel Table. There are much more to see, such as the old oil press which still today produces olive oil from the local olive trees. Finally, the monks use to offer a sweet loukoumi and if you wish you can buy from their certified products. Is a picturesque provincial town built on the south slopes of Parnassos Mountain with the clarity of the atmosphere always secured. The Cretans maintained a colony here, while the Thracians settled in the region too, about 3.200 years ago. During the 1821 revolution, the victory won by G. Karaiskakis across the church of St. George, with only 300 men against 2000 Turks, has passed into legend. This unexpected victory was attributed to the decisive intervention of St. George. The locals were always hard-working, cultivated premium quality agricultural and livestock farming products. From 1960 once the ski resort opened its gates , the majority of business was based on tourism, but they still produce Parnassos ‘’Feta’’ cheese, dairy products, exclusively traditional ‘’Formaela’’ cheese, good quality dry black Arachova wine and traditional dried pasta. The woven textiles and embroidery work of Arachova are equally famous which can admire into the Folk Art Museum. Taste excellent traditional food, relax in cozy cafes, purchase local products, enjoy skiing, beautiful hotels to stay in, scroll around the picturesque quarters of the village. Visit the Folk Art Museum. On April 23rd or on the 2nd day of Easter (if April 23rd coincides before Easter) tourists will have the chance to enjoy a traditional festivity held over a three-day period which all residents wear their traditional costumes celebrating the victory against the Turks. Driving from Arachova to Parnassos Ski Resort, at an altitude of 1100 metres, stands the mountain livestock farming village of Kalyvia which was very speedily rebuilt -due to the great rise in tourism observed in the region- with winter chalets, restaurants and ski equipment stores. Skiing or Hiking? Three ski centers, the oldest one being in operation since 1967, at an altitude ranging from 1600 up to 2300 meters, offering approximately 20 ski slopes of all difficulty levels, alpine routes designed for cross-country skiing, snowboard and night-skiing events. For the hiking lovers, Parnassos constitutes a challenge. Mountain tracks, forest trails, routes which lead to the mountain peals or other areas of interest (archaeological sites, caves, places of natural beauty). 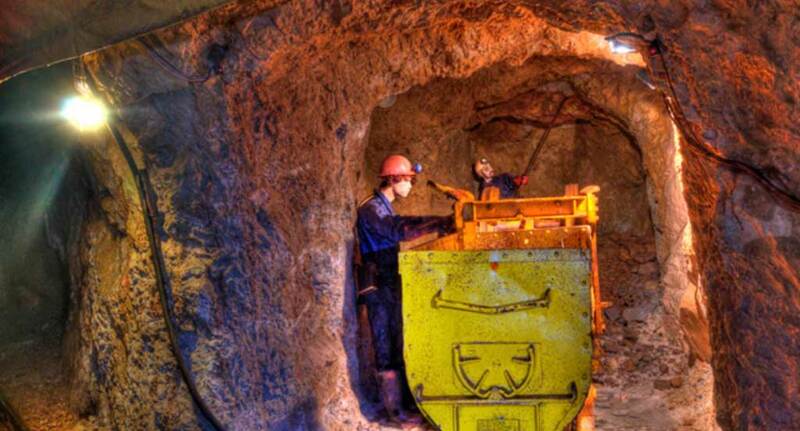 1967: One of the galleries opened for the underground mining of bauxite in the Ghiona area, is Tunnel 850, the number 850 indicating, according to the mining practice, its elevation. 1972: Operations in Tunnel 850 stop, since the specific bauxite deposit is “exhausted” after 5 years of exploitation, and the Gallery closes down. 1998: The company that promoted the area’s bauxite deposits undertakes the project to convert, after a 25-year period, the obsolete gallery into a tourist and educational destination, in order to honor the old miners of Fokis and promote the history of bauxite. 2003: In September, the Vagonetto-Fokis Mining Park opens its doors to the public, after the construction works have been completed and all necessary safety measures taken. 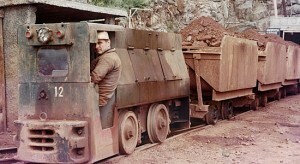 The vagonetto used by the miners to transfer bauxite becomes a means of transportation for the visitors to get to the starting point of their walking itinerary through the history of bauxite. 2008: Inauguration of the audio-guide digital system in six languages (Greek, English, French, German, Spanish, Italian), co-funded by the European Union (European Regional Development Fund) and Greece. This system was designed along the standards of museums like the Louvre, the Vatican, and the Metropolitan Museum of New York. 2009: Inauguration of the new Interactive Wing of Digital Technology, consisting of three new rooms (blue, red, green) and utilizing the entertainment value of digital technology, along with its educational aspect. The project was co-funded by the European Union (European Regional Development Fund) and Greece. 1924: the first mining explorations in the Oiti-Ghiona-Parnassos area brought the first resources of “poor iron ore” to light. 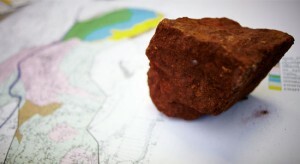 1927: These resources are officially recognized as “bauxite resources”. 1933-4: Bauxites Parnasse S.A. is founded for the exploitation of bauxite by Euripides Mavromatis and the Eliopoulos brothers, Helias and George, the third brother, Athanassios, joining the company 5 years later. 1935: A first contract of cooperation between the newly founded company and the French Lafarge is signed, which provides for the sales of Greek bauxite to the French company for the production of aluminous cements. 1936: Relevant contracts are signed with British, Scandinavian, and Swiss companies. 1938: Bauxite production at the Parnassos-Ghiona mines reaches 180,000 tons within a year, from 10,000 tons. A new bauxite air-transportation system is built connecting the bauxite mining area with the port of Itea, where bauxite is loaded to ships. The new air-transportation line is 15 km. long. 1940: First trial export of 10,000 tons of bauxite to the Soviet Union. 1941: German occupation forces oblige Bauxites Parnasse S.A. to “sell” its mines to the German Hansa Leichtmetall Aktien Gesellschaft. 1950: Upon end of the German occupation, the company claims back its mines, having been transferred to the Greek State as «spoils of war». 1952: Following a compromise agreement, the Greek State leases to Bauxites Parnasse the mines which formerly belonged to the company, and thus begins their post war operation. 1963: Bauxites Parnasse signs 30 year contract for the supply of bauxite to the new Aluminium de Gréce (Pechiney) plant.